G'Day Mate! 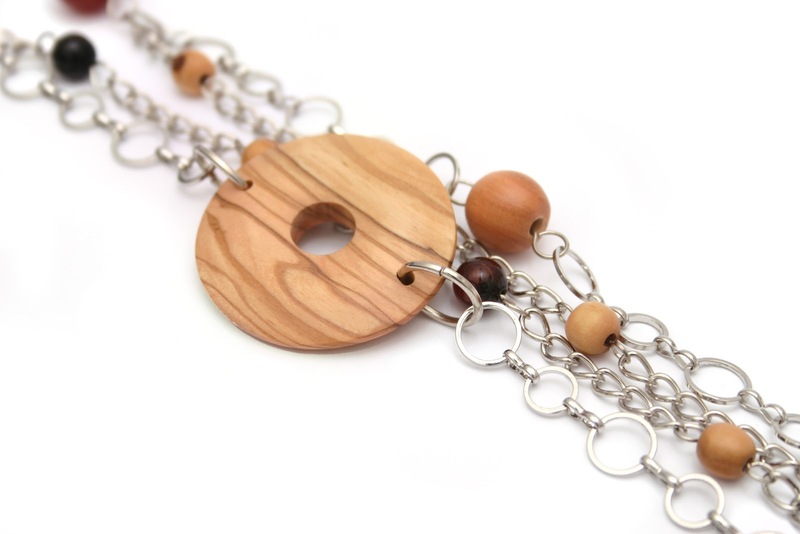 Look like the feisty, fashionable Sheila that you are in this elegant, easygoing necklace. The cornerstone of this modern piece is the hand-carved olive wood medallion that sits on a handcrafted chain. Just like the land Down Under, the large round jade beads and smaller agate beads vary in shades from the orange and golden tones of the outback sunset to the lush green tones of the coastal uplands. Our artisans hand select every stone to make each necklace a masterpiece. Our Down Under Diva measures 80 cm (32 inches) and easily extends to 94 cm (36 inches). 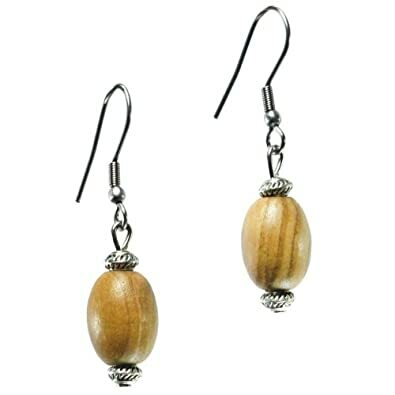 We have suggested pairing the necklace with the Olive Wood Double Dangle Earrings, but there are many earrings that look great with this necklace, like our Essential Olive Wood Earrings. 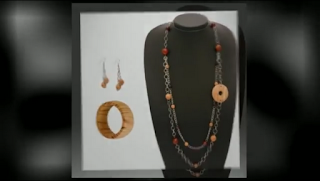 See the whole collection by watching this sweet video! 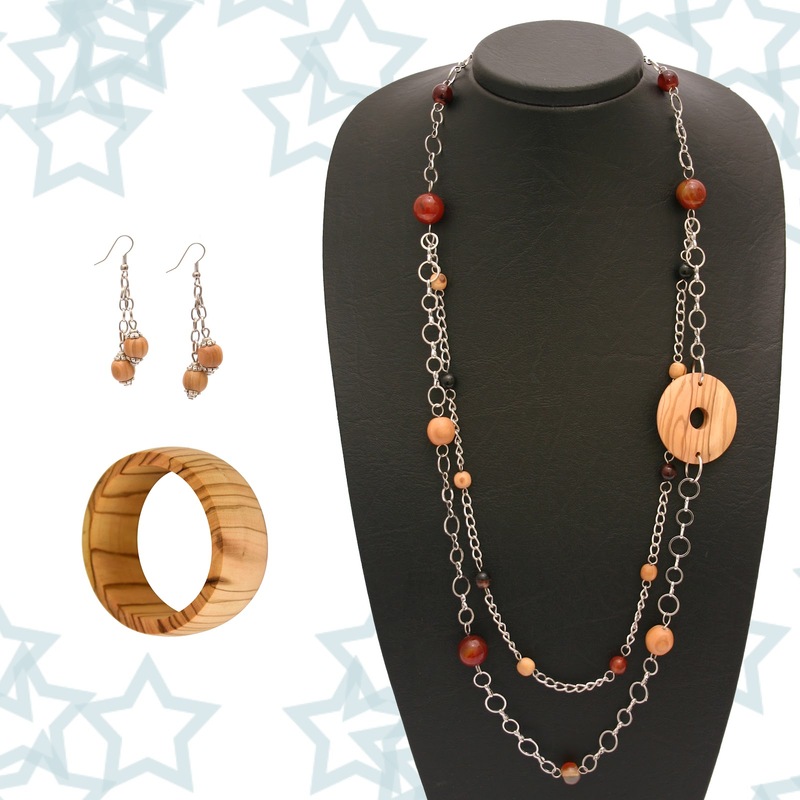 Remember all of From The Earth's jewelry can be purchased on Amazon US, Amazon UK, and in Amman, Jordan.